Further to the success of the inaugural In2Events client golf day at the Foxhills Resort, in May 2018; In2Events were thrilled to succeed this with our summer client event, hosted in conjunction with the well renowned Celtic Manor resort in Wales. Set in 2,000 acres of panoramic parkland in the beautiful Usk Valley and featuring clients from a number of companies including LG, HP, Dell Secureworks, Konica Minolta, Unitron, M-Files and RM Education. The event offered an array of activities for guests to choose from across the two days, kicked off on a sunny Thursday afternoon with two groups of 4-balls taking on the challenge of the infamous Twenty Ten golf course. The remaining guests arrived and checked-in at leisure, with free use of facilities before the event formalities were due to begin with a welcome drinks reception later that evening. Upon check-in, each of the guests were greeted with an In2Events welcome bag, containing a personalised letter from our MD Gavin Farley, detailing the agenda to follow and thanking guests for taking time out of their busy schedules to join us and take the opportunity to network with some fellow industry peers. The welcome bags contained a selection of In2Events branded gifts, such as our very bright water bottles in the In2Events colours, as well as some funky sunglasses and sun-cream in anticipation for good weather the following day! The welcome drinks reception began at 7 pm, with a selection of extremely appetizing gin and vodka cocktails held on the veranda at the Twenty Ten clubhouse. The Celtic Manor team were nothing but professional and extremely accommodating, no request was too much and every little detail had been considered. We then moved onto the group dining experience which allowed for a more intimate introduction and networking opportunity for the guests, and the In2Events and Celtic Manor hosts. The meal was set in a private dining area on the mezzanine floor of the Rafters restaurant in the Twenty Ten clubhouse, enjoying the stunning views over the course and the Usk Valley. The food was exquisite, a three-course meal made up of locally sourced ingredients and paired with a selection of wines – A perfect warm-up for the post-dinner cocktail making experience, which seemed to be a big hit with guests! 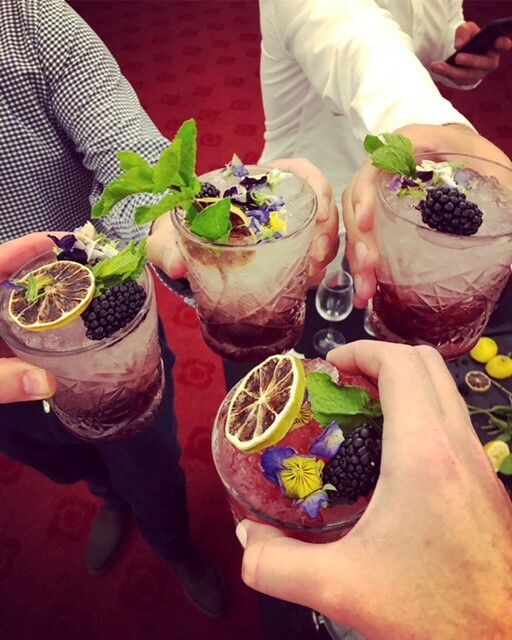 Set into several teams, the group were able to try their hand and test their mixology skills, concocting a delicious Elderflower Cosmo and a Brecon Bramble with the expert mixologists scoring the results on taste and presentation to award the winning team! The remainder of the evening allowed guests to relax and spend time in each other’s company, enjoying a few more drinks, which ultimately finished up in the luxurious surroundings of the Signature lounge. The next morning the group met after breakfast, a little bleary-eyed and with a few sore heads – Seemingly the sign of a good night! We then had the opportunity for a tour of the Celtic Manor estate, getting a taste for some of the excellent event spaces and hospitality options that the venue has to offer. And what better way to discover what Celtic Manor has to offer than to try it out first hand. And so the rest of the activities began, with the group splitting into teams and testing their skills at a mixture of adventure golf, laser clays and archery. With the weather turning out and sunshine beaming down, it was a hot morning as the teams quite literally sweat it out to compete for top scorer in each activity. 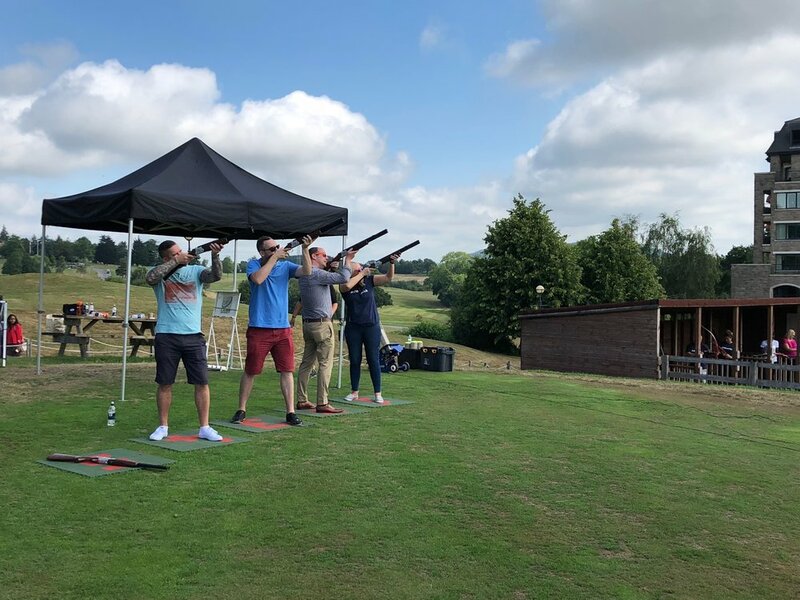 A few hidden talents were discovered as guests found their various strengths, so the competition was strong, with some hole-in-ones scored, a new points record achieved on the laser clays as well as a few bullseyes on the archery! We then rounded up the morning with a group lunch in the Olive tree restaurant, recounting some of the highlights of the day, best shots and even a few of our favourite miss-shots, with prizes awarded to the top scorers in each activity. The agenda allowed for a really well-rounded insight to the Celtic Manor offering and permitted their team to work alongside In2Events to showcase what it is that we do best – Showing people the power of events and creating amazing experiences that unite businesses…but don’t take our word for it, here are a few things our clients had to say about it. I was invited to a networking event at Celtic Manor by In2events and I have to say it was the best networking event I have ever been too!! I thought with Celtic Manor being globally known for its fantastic Golf courses, that would just be the theme but due to the nature of how In2events work , they catered for everyone who attended by having all sorts of different experiences for people to try, such as Cocktail making and Clay Pigeon Shooting. 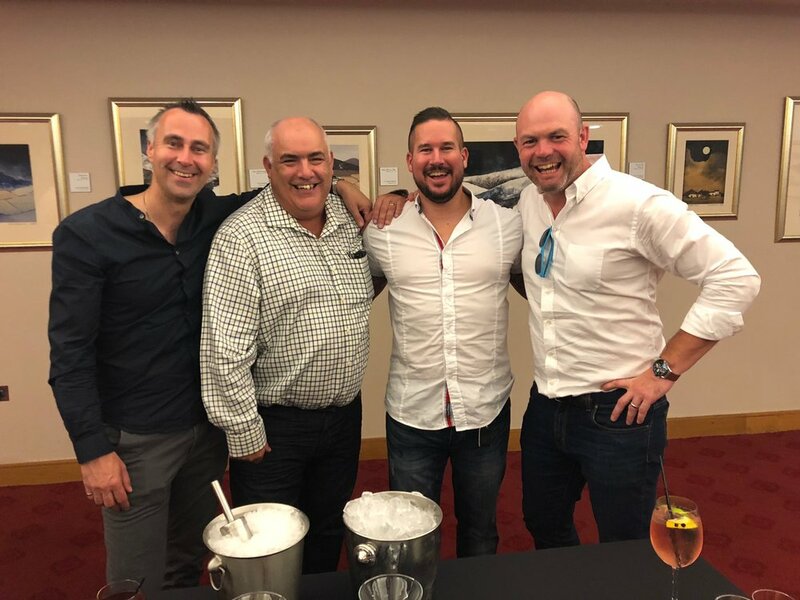 It was a great opportunity to socialise with some of In2events new and old customers, networking is still a very important part of doing business and with In2events hosting the event and with this particular location, it made for a very special experience. Watch this space for details on the next In2Events client event.....Coming Soon!